It has recently been claimed that Iran is interfering in the affairs of Bahrain, these claims are false; Iran only provides motivational and spiritual assistance to the Shias of that country. Ahlul Bayt World Assembly -ABNA- Following the Iranian Revolutionary Guards' successful operation in capturing US marines, a member of the Ahlul Bayt World Assembly's Supreme Council has released a message of thanks. 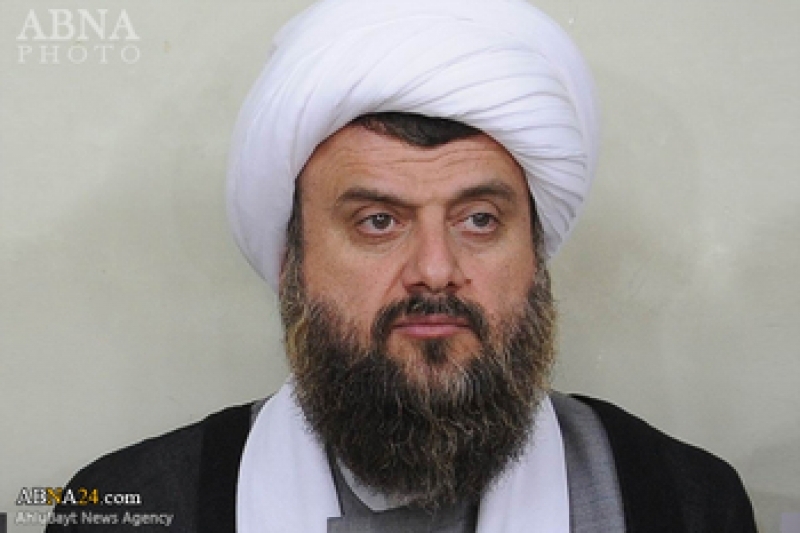 Ayatollah Hadavi Tehrani, once known as the first talented young student of the Islamic Seminary of Qom, is now at the age of fifty, well worthy of being entitled as the most up-to-date Shia scholar. 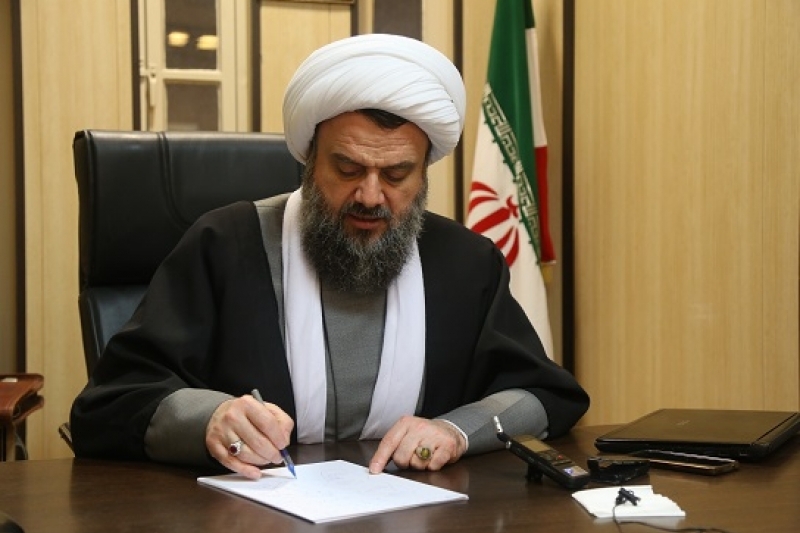 As a dynamic young man having graduated from Sharif Industrial University in the field of electricity and electronic engineering and acquired command over English language and computer skills, he entered the Islamic Seminary of Qom. It did not take long until he, at the age of 29, became the youngest scholar to give lectures in the Islamic Seminary of Qom in jurisprudence and legal theories. His dynamic and up-to-date personality is well-known among scholars, clerics and seminarians as well as the people of Qom. His juristic deductions and inferences are sometimes so revolutionary and innovative. He was the one who protested the way the internet filtering policy is exercised in Iran. 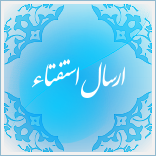 Great scholars such as Ayatollah Subhani consider him as the innovator of a new science or discipline called the theological foundations of jurisprudence (ijtihad). This global and up-to-date figure is also fluent in both English and Arabic. He is also familiar, to some extent, with French and German. His skill in English and computer science enabled him to be the first person in the Shia world to deal with specious arguments and respond to religious inquiries on internet. At present, IslamQuest.net, operating under his auspices, is busy replying to various religious and theological questions in as many as 14 languages. He is a member of the supreme council of Ahlul-Bayt (A.S.) Worldly Assembly and the only Shia and Iranian member of West-Islamic World Dialogue (C-100). He is also one of the founders of the World Council of Religious Leaders (WCRL). This special issue of Iran 1400 provided an opportunity to publish a scientific dialogue with this dignified jurisprudent. One of the serious challenges we shall be facing in the ten coming years is how fiqh (jurisprudence) is going to tackle newly emerging phenomena. Does Islam have answers to all the future issues? We believe Islam is the final religion. Finality means there is no ground for sending more prophets, not that God does not send another prophet. In fact, there is no ground for sending another prophet. The ground ceases to exist when the final religion has two features: One, the religion should comprise vital and basic elements that do not get perished or altered as a result of events that take place over the history. Immunity against alterations is guaranteed when it has two features, one, it should have a source free of any alterations e.g. the Quran, second, immunity against alterations is guaranteed when there is a proper method in place. That is because in order for a correct and genuine understanding of the religion be created, there should a special and correct method for understanding the religion which should have been passed on by the Seal of Prophets (pace be upon him and his progeny) to the infallible Imams (peace be upon them). The second feature of the final religion is that it should be complete and comprehensive. That is, it should consist of what man needs to be explained to him through revelation. Considering these theological presuppositions, Islam should therefore contain all those elements and features which we need in the area of revelation. Obviously, it does not mean we are expecting the religion to have an answer for every question which we come across. That is because we cannot put aside man’s reason or power of intellection and just benefit from the revelation. God has not denied the role of reason. In fact, it is the internal prophet while the prophets (peace be upon them) are the external prophets. Human reason should be utilized in its own place within its own limits. Islam lays emphasis on the role of reason. It is a combination of the textual and rational proofs that demonstrates the reality of religious views. In fact, whatever man’s reason perceives in matters that are related to religion, the religion accepts it. That is an established rule among Shia jurists that “whatever judgment is made by reason is the same as that made by the religion”. How does Fiqh (jurisprudence) respond to the developments and changes that take place everyday? It does not make any difference whether the changes are speedy or slow; deep or shallow. The religion must be able to reply to questions in all spheres. Let’s us say, if you ask how far we have been able to respond to challenges in the present time, not in the ten coming years, I should say that we have been faced with some setbacks. What are those setbacks? One, we do not have sufficient familiarity with new themes and subjects. In order to be able to pass judgment about an issue, we must be precisely familiar with it. One of the problems facing us from a very long time ago as of today is that we do not have precise information about a subject which we want to deal with. In my opinion, this seems to be a very serious problem. A more serious problem is that some of these subjects have emerged and developed in a special circumstance which we do not have clear information about resulting in our inability to know and deal with those subjects. Another problem is that these subjects which we may try to identify and know have certain features and signs. The question is that: how can we find out that a certain feature or sign has an impact on our juridical judgment? This question is complex and difficult to answer. For example, what seemed to be impossible to happen in the medical field has now become imaginable. For the time being, organ transplantation is no longer a new issue. Similarly, the conceptive and contraceptive methods need to be discussed seriously. Recently, we have to deal with the question concerning cloning and genetic modification (engineering). Sometimes, we simply ask whether showing something is allowed or not or a certain behavior is permissible or not whereas, in fact, the discussion is profound and very much scientific in nature. Religion does not mean that we can expect it to reply to every question that we face in our daily lives. I believe that such topics must be restudied. How has the reaction of the religious seminary been to such phenomenal issues such as cloning and genetic modification? Jurisprudentially speaking, the questions that have been raised have not remained unanswered. For example, when it comes to cloning, many Shia jurisprudents are of the view that ‘cloning’ is not essentially forbidden except for when it entails an evil. Thus, the Shia scholars are not opposed to cloning and it is for the same reason that our country is working too much on cloning and problems surrounding genetic modification. However, I believe our problem does not relate to subjects which I just mentioned. A more fundamental problem which is very much neglected is that our common and prevalent jurisprudential methodology should, in some areas, be restudied on the basis of the methodology of the school of Ahlul-Bayt, peace be upon them. That is to say, our jurists over the history expanded the jurisprudential methodology in one sense as required by the time and circumstances in which they lived. But these expansions and implementations have been on the basis of the circumstances they lived in. Today, however, we are faced with issues which they were not faced with. We are faced with approaches which they were not faced with. Therefore, we are in need of a new methodology. Of course, I should add one further point and that is, there was a time when the Hawza (Islamic Seminary) was the cultural forerunner. 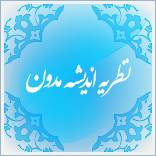 As was said by Imam Khomeini (blessed be his soul), Hawza is the cultural and intellectual pulse of the society; it moves ahead of the society but the Hawza started to be seriously confronted by the global powers leading to a defensive position on the part of seminaries to protect their identity. When the defensive position lingered, it led the seminaries to keep away for a period of time from current-day issues so as to maintain their identity, values and principles. Of course, it was very important for them to protect this institution because if this beating heart ceased to function, Islam would start to fade away. They had to protect Islam but during this period, the seminaries had a reduced level of contact with the outside world leading to a kind of weakness in identifying the issues surrounding them. Following the victory of the Islamic revolution in Iran, the gate of new civilization, new thought and new topics opened to the Islamic Seminary. There is no doubt that religious scholars were the forerunners of the Islamic Seminary and learned scholars such as Murteza Mutahhari and Imam Khomeini (may his soul rest in peace) went even far beyond their contemporary thought. However, when it comes to the general level, the circumstances became available only when the Islamic revolution took place. The revolution did have extensive effects on all aspects of the contemporary man, not only Shia or Islam. One of its effects was the exposure of the contemporary world to the Islamic Seminary. Eventually, following the revolution, we witnessed wide-ranging changes in the Islamic seminaries as a result of which various activities in different areas started and these activities are going on in one form or the other. One part of these activities has remained unknown and a bigger part of them has not yet turned into scientific norms and standards because it takes time until something becomes routine. Therefore, a lot of work has been done but we are still facing deficiencies and setbacks. We have to go a long way before we can complete and develop, respectively, our understanding of the contemporary world and jurisprudential methods. I should reiterate that if the achievements which the Islamic seminaries have made so far are identified thoroughly and applied correctly, I am certain that a part of the contemporary needs will be met. What is your prediction about the newly emerging phenomena in the year 1400 (2021) which will entangle fiqh? What are the essential steps that the Seminary may take in order to play an effective role in that period of time? See, technology is growing at a rapid rate of speed and if we are slow, the gap will increase and we will not be able to move ahead with technological development. If we fail to move as fast as technology or even faster than that, then technology will acquire speed and the gap will further increase. See the internet for instance which I began to use when it had just become public. That is to say, I began to use the internet from 1993 when there was no windows operating system. Everyone used to use the DOS system and the text code which everyone had to type to give a command. There was no type of graphics available. You had to type a long line of command in order to do a simple task on the computer but now-a-days everything has become so easy and simple. I used internet when it was unknown even in the technical levels in the country (Iran). The Center for Research in Theoretical Physics and Applied Mathematics headed by Dr. Muhammad Jawad Larijani was the first center to bring the internet to Iran. Then when internet was introduced to Iran, I did not think that it would become so public that even the children would use it. At that time, no one knew anything about emails or texting and the likes of such concepts. There was no mobile at that time. Who could think that a day would come when internet would become a part of our lives or even a part of one’s personal identity? Now we are so dependent on cell phones (mobiles) that we cannot imagine to distance ourselves from our them even for a minute; it is as though it has become a part of our body. Communicational tools are now omnipresent and ubiquitous. Last night, I was busy doing something when someone called me from Moscow, another person called from Yemen, another from Kashmir and a fourth person from Tunisia. I was communicating with four countries while I was doing my work on computer. I am of the view that the internet atmosphere has not been recognized objectively and seriously in Iran. It is not only the Hawza but also the authorities in charge of the country’s affairs that do not have proper understanding of the internet. They think that the internet is a tool whereas it is more than a tool. You are not as dependent on your refrigerator or your car as you are dependent on your mobile. The new technology goes far beyond a tool as it gets into our lives and social relationships. The very last night, I was asked about relationships with a non-mahram (a person outside family) on a social network. We have to explain to our audience as to what it means to live a religious life. Can we tell them not to enter the cyberspace? Can we tell them that religiosity means that you should not use the internet or the chat rooms or any social networks? Can we tell them not to enter this and that room, something that was done by some Christians separating themselves from the Western society? Those Christians were totally opposed to modernity and they lived very basic and simple lives in rural areas. This is one way of living which we cannot ask mankind to adopt. I remember once I was in the company of a religious authority when one of his students, who is now one of the professors of the Islamic Seminary, asked about the prayers of people living in the poles. This is a question which Imam Khomeini has discussed in his Tahrir al-Wasilah; it is not a new issue but he said that people do not have the right to live in the poles; they have to migrate to other regions. His student said that some people are forced to live in the poles. He said, ‘No, it is forbidden from a religious perspective to live there’. We cannot respond to the contemporary world in such a way. How do you evaluate the general atmosphere during the ten years to come? How can the Islamic Seminary play a role in that time? Well, I do not want to speak fancifully but it does seem to me that the ten coming years will be characterized by new relationships among human beings. These relationships are beyond the technological discussion. In the near future, you can recommend your future child to be genetically engineered or modified. You can determine the stature or the height of your child. You can have your child with special eyebrows, lips, nose and chin. You can also tell how his morale or spirituality should be. The question is: how can we present Islam in such an environment? Of course, there is no doubt that it is feared lest we should get perplexed against these developments losing ourselves against these uncontrolled innovations whose danger is not less than the danger of retrogression. In fact, it can be more dangerous than that. For this reason, we must seriously review the frameworks and assess them with respect to ‘finality’. We should see how far these standards are consistent with finality because finality is an indisputable and unarguable principle for us. Only then we will be able to respond to the challenges of the modern world in which everything ranging from political relationships to economic and even family relationships have changed. One of the current-day topics is the invasion or violation of privacy. Privacy is a human need. If man loses his privacy, he will lose his identity as well. It is even claimed that man will reach a point where all his feelings and emotions will be known to people around him. If we reach that point, I should say that human identity will have a different meaning which is not interpretable through our religious principles. But privacy must have some sort of protection and we must find ways to protect privacy. Once, something happens, then the fiqh (jurisprudence) is tasked to say whether it is permissible or not. That is one thing. Another current discussion is when you say it is not permissible, then it may be asked as to what the alternative solution is. That is to say the fiqh should present itself apart from negating and substantiating something. Does such a free-thinking atmosphere exist? The norms have not yet come into being. Free-thinking does not mean that we can say that we are free thinkers. We should have the ground as well as the capacity to accept what is initially unacceptable. I do not say that we can always reach from impossible to possible but we must provide the hearing possibility; we must let everything be heard and let these discussions to be raised and evaluated scientifically in a completely fair and scientific atmosphere without having to politicize it or chant slogans. We should not reject or accept anything without meticulous evaluation. If this atmosphere becomes available, we can be hopeful that, God willing, we will be able to activate the existing potentials in the religion, or else we will distance ourselves from the realities in the outside world. Unfortunately, there are some people who say that Islam has no ‘solution’ to any problem in economics, arts and medicine. Indeed, this is not the case. Islam does have strategies and solutions but we have not allowed those solutions to be used and applied. Then a situation comes into being where people’s iman (faith) faces crisis through these very unscientific mottos or incorrect interpretations which only serve to limit the religion and destroy its efficiency in various arenas. Office of Ayatollah Mahdi Hadavi Tehrani  - This conversation held between Panjareh Weekly Expert, Mr. Amir Hussein Salami and Ayatollah Hadavi Tehrani about jurisprudence and technology has been published in Panjareh Weekly issue No.100, 3rd year, Monday, 24 July 2011, pages 192 – 193. Modeling Concepts on the Basis of "Systematic thought theory"
Call from 10 AM to 1 PM (except holidays). i personally believe that elections in Pakistan are completely arranged and managed and funded by Saudi Arabia which is puppet of America so my question is should we vote in elections even if a candidate is supported by the shia political parties or not? In the Tasleem can I just say As Salam alaykoum wa rahmatullahi wa barakatouk? If a married wife with 3 children whom she has been homeschooling the children for the last 3 years with a good outcome is now asking to go to work at a school under pressure from her father against the wishes and educational strategy of her husband. Tasleemaat! According to our country culture & tradition, is it allowed to say hi or aadaab or tasleem or hello etc inspite of SALAMUN ALAIKUM? Another question is, in INDO-PAK local tradition-language-culture, elderly people say JEETE RAHO (GOD BLESS YOU) in answer of SALAMUN ALAIKUM, is it allowed to give different types of blessings in our mother tongue in answer of salam un alaikum? And, what is the status of saying just "SALAM" inspite of salamu alaikum or salamun alaikum? Address: Qom, Ammar Yaser Blvd., Alley 15, no. 82.